That’s fairly specific information, right? Do you want publishers to know that about you? How about your kids or grandkids? Privacy is something we all take for granted when it comes to reading books. With e-books, however, that line is blurred, perhaps even erased. Some privacy experts think that is a bad thing. The EFF, a consumer rights and privacy advocacy group, has pushed for legislation to keep e-bok sellers from passing along reading data to law enforcement without a court order, a very real concern if you’re reading e-books on sensitive topics. In fact, it might prevent people from buying books in digital form on those very topics. 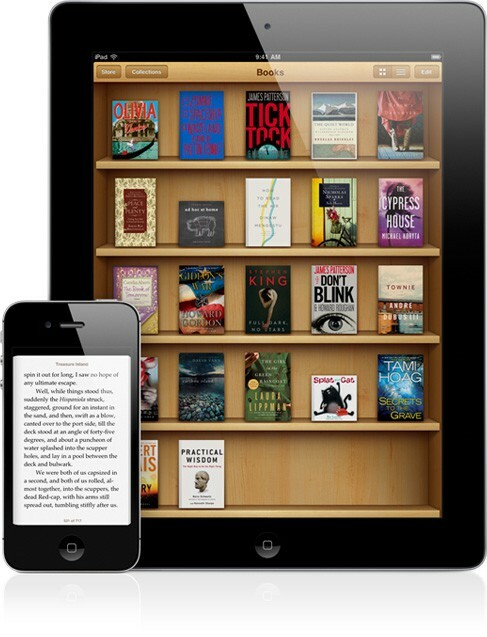 Whether you buy your e-books through Apple’s own digital bookstore and iBooks, or read with a Kindle or Nook app on your iPad, chances are you’re contributing to this data. We truly have no idea whether such data is tracked on an individual or aggregate level from these apps or devices. In a society increasingly able to watch our every move, shouldn’t we have a say in what and how much is tracked?